Transfer students don’t graduate on time. Transfer students don’t make as many friends on their new campuses. Transfer students have cooties. Nothing like a myth to scare you out of trying something new, right? But that’s just what these things are—myths (especially the “cooties” part; everyone knows you need to get immunized before freshman year. Circle, circle, dot, dot . . . ). Yes, transfer students do face some unique obstacles and it certainly takes some chutzpah to move from one college to another, but transferring is not the insurmountable task these myths make it appear to be. Of course, there may be a grain of truth to some myths—for instance, transfer students need to plan carefully and put in extra effort to meet graduation requirements, or they will likely graduate later than expected. However, I thought I would dedicate some blog posts to debunking a few of the myths associated with making that brave leap to a new college community, whatever your reasons for transferring may be. This is the first of several myth-related posts. The first topic? BFFs. Myth: It’s hard for transfer students to make friends. First of all, it’s just hard sometimes to put yourself out there and meet new people. Gregariousness and timidity don’t know class years or your transfer status. But, fortunately, wherever you’re coming from, colleges and universities have plenty of ways for you to meet people and build a new circle of friends on campus. Of course, if you’re an outgoing person who makes friends easily, you’re probably not too worried about this myth. But if you consider yourself an introvert, and perhaps wish you were a little more outgoing, this could be your chance to start anew. That doesn’t mean you have to magically transform into a chatterbox overnight, but you could find the resolve to talk to more people, join more campus groups, or raise your hand more in class this second (or third) time around. Though transfer students will inherently miss freshman orientation, and whatever relationships it might foster, they usually have their own orientation, where they’ll get a chance to bond with new classmates. If I had to guess, I’d say it’s easier to make friends amongst that smaller group—with one big thing in common—anyway! Does classroom bonding happen freshman year? Absolutely. But don’t forget, it’s often during those upper-level, more specialized classes that you’ll get a chance to work closely with others, particularly those in your major field. Required freshman introductory classes tend to be larger and comprised of students from different majors. 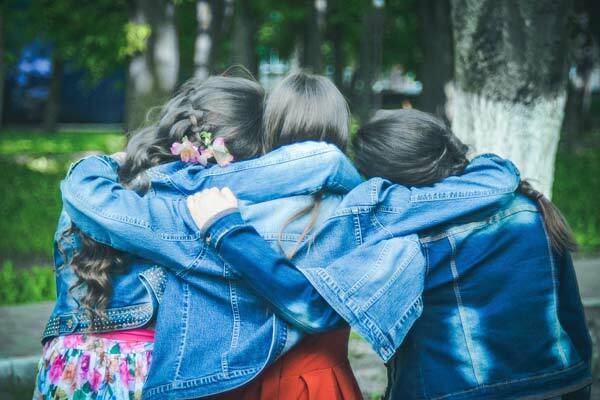 Certainly, great friendships can be found there, but you may never have a class with the same group again, whereas those major-specific classes will likely have you hanging around the same kids for several semesters. One way to meet people who share your interests and make new friends is to get involved in campus activities, and you should look into student groups as soon as possible after your transfer. Start by attending the fall activities fair on campus (learn more about them here). Join a couple of your favorite groups, and you’ll find yourself getting to know and spending time with a group of people with similar interests. If you won't be arriving until the spring semester, you should still look into campus clubs and organizations. Even if your school doesn't hold a spring activities fair, you’ll probably find a directory online and/or flyers around campus advertising extracurricular opportunities. Though you may encounter some groups that only take new members once a year in the fall (such as some campus singing groups), many extracurricular organizations recruit new members at the beginning of each semester. Transfer students, just like their freshman counterparts, can find their niche on campus just as easily, if not more so. After all, you were brave enough to transfer schools—you can definitely say hi to the dude wearing the [insert favorite band or sports team] t-shirt. The college social scene, like so many facets of the experience, is what you make of it. You may actually find you have an advantage as a transfer student, because you get to make it all over again.